Bobbi Carducci is a sought after speaker and workshop presenter on the subject of caring for someone with Alzheimer’s or one of the many other forms of dementia. She speaks from the heart about the realities of care giving and her personal experience as a caregiver for her father-in-law, Rodger for whom she provided care for seven years. Rodger’s illnesses included: Dementia, Parkinson’s disease, dysphagia, C.O.P.D., congestive heart failure, and Schizophrenia that was first diagnosed in 1947 resulting in a stay in a mental hospital until 1960. He continued to undergo care for this until his death at the age of 83. Click here for pricing information or to schedule a presentation, workshop, or conference appearance. Bobbi Carducci lives in Round Hill, Virginia with her husband, Michael. In 2006 Bobbi was named an Outstanding Woman of Loudoun County for her work in career development. She is a member of the Loudoun County Medical Reserve Corps, trained to assist members of her community in the case of catastrophic medical emergencies. Bobbi was the luncheon keynote speaker at the 26th Annual Pennwriters Conference in May 2013 where she also taught an intensive workshop on writing creative nonfiction. Her book for young readers, Storee Wryter Gets a Dog, earned a Gold Mom’s Choice Award for Excellence and A Bronze Living Now Award for Enhancing the Lives of Others. It was named one of the best dog books for young readers in Cesar’s Way Magazine. The official publication of Cesar Milan, TVs the Dog Whisperer. See me doing my Snoopy happy dance! So happy you like it. I want to thank you for following “A Way With Words.” My joy as a writer is made more complete when people read what I’ve written. While I write primarily on faith and mental illness, I’m known to dabble in other subjects, stories, and even the occasional poem. If you have any requests, please let me know. 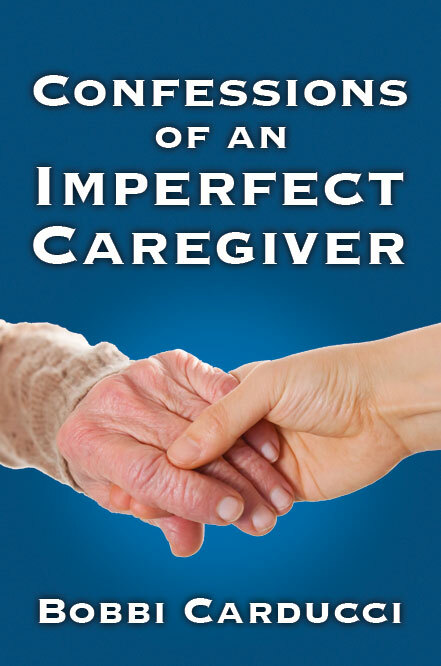 I appreciate the mission of your blog, encouraging caregivers to share their stories. I pray you are blessed as you are a blessing to others. Caregivers are some of the strongest and most selfless people I know. Thank you for all you do to support them! Feel free to contact me by email for more information.